Gloria Marie James was 16 years old when her son, LeBron James, was born. The Solo Mom and son lived with LeBron’s grandmother in a house in Akron, Ohio, but when LeBron was three, his grandmother died and the family lost the house. When James was nine years old, his mom made the difficult decision to send him to live with his pee-wee football coach, “Big Frankie” Walker, and his family. Gloria was figuring out how to get on her feet, and she wanted her son to experience the stability and security she herself had enjoyed growing up in a big family. For The Shriver Report, James wrote that his mother told him, “It was hard, but I knew it was not about me. It was about you. I had to put you first.” For a year, James lived with Walker, honing his athletic skills, attending school, and seeing his mom every weekend. Once Gloria was able to secure a two-bedroom apartment with the help of a government-assistance program, mother and son were reunited. 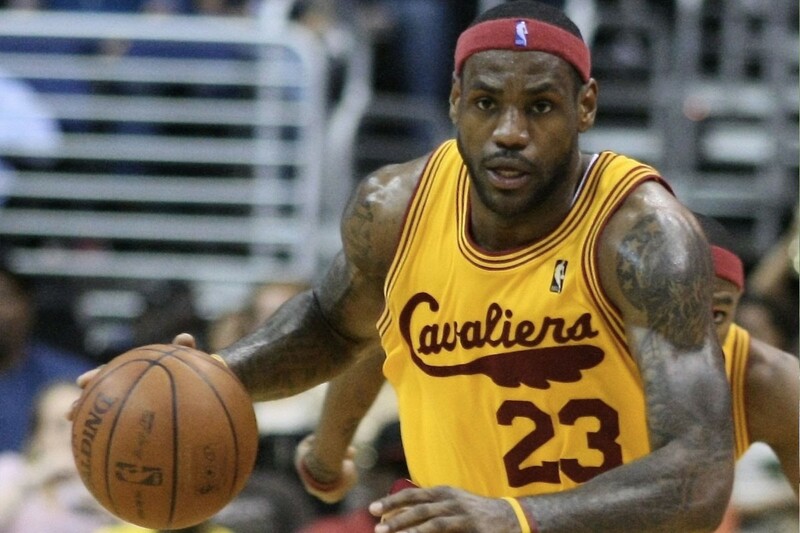 James’s athletic career took off right out of high school, when the Cleveland Cavaliers recruited him in 2003. After a chapter with the Miami Heat, he returned to the Cavaliers in 2014, helping the team achieve a stunning NBA championship victory in 2016. His list of awards is impressive: he’s a three-time NBA champion and a four-time NBA Most Valuable Player. In 2012, he was declared Sports Illustrated’s Sportsman of the Year. So, what’s next for the basketball superstar? James, who has said he plans to return to the Cavaliers for the 2016–17 season, has indicated as of this writing that he might take the summer off for a well-deserved rest. If so, the United States men’s Olympic basketball team will have to seek victory without him at the Rio Olympics. He would certainly be missed: James led Team USA to gold at the 2008 and 2012 Games. Regardless of his summer plans, it’s likely he won’t be bored. As a philanthropist, over the years he has dedicated himself, through the LeBron James Family Foundation and the Boys & Girls Clubs of America, to helping kids growing up in single-parent homes.